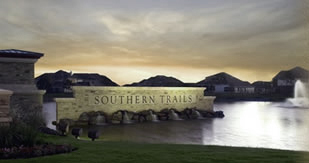 See a list of all the houses for sale in Southern Trails. Built by homebuilders like Perry Homes, Ashton Woods Homes, and Trendmaker Homes. 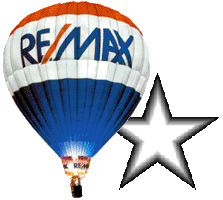 The Silver Star Group can help you buy or sell a home in western Pearland. The West Pearland neighborhood of Southern Trails, off Highway 288 on FM 518 south of Houston, is a family-friendly Brazoria County community and could be just the place for you to buy or lease a home in Pearland. Lakes, parks, and trails wind their way through Southern Trails and make it a perfect neighborhood for you and your family. It's an easy commute if you work in the Texas Medical Center, downtown Houston, the Galleria area, the energy corridor, or the Clear Lake / NASA area. The Silver Star Group is your expert when it comes to homes for sale or lease in Pearland. If you're thinking about buying or renting a home in Southern Trails, call us today so we can get your search started. We''ve already done some of the work for you by listing homes for sale or lease in Southern Trails at the bottom of this page. If you own a home in Southern Trails and are thinking of selling it, The Silver Star Group of real estate agents can provide you with all the information you''ll need to market it and get it sold! We''ll provide you with tips about getting your home ready to sell, marketing it effectively, and pricing it right. Learn more about the current value of your home. If you are thinking about leasing your home, The Silver Star Group can help you find the right tenants, get the right price, and take care of all the property management duties. Visit our Property Management page to learn more, contact us at 832-200-5686, or email.